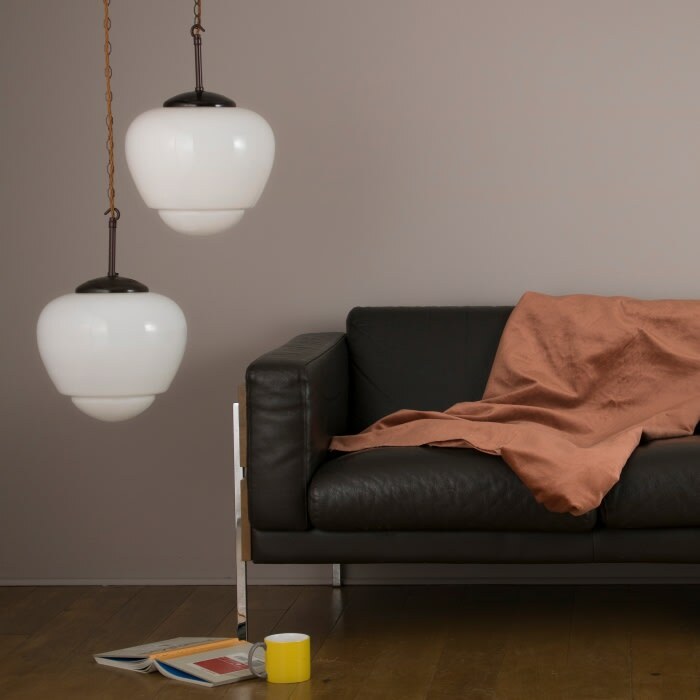 Large elegant antique teardrop pendants with an opaline glass shade and the original Bakelite cover. 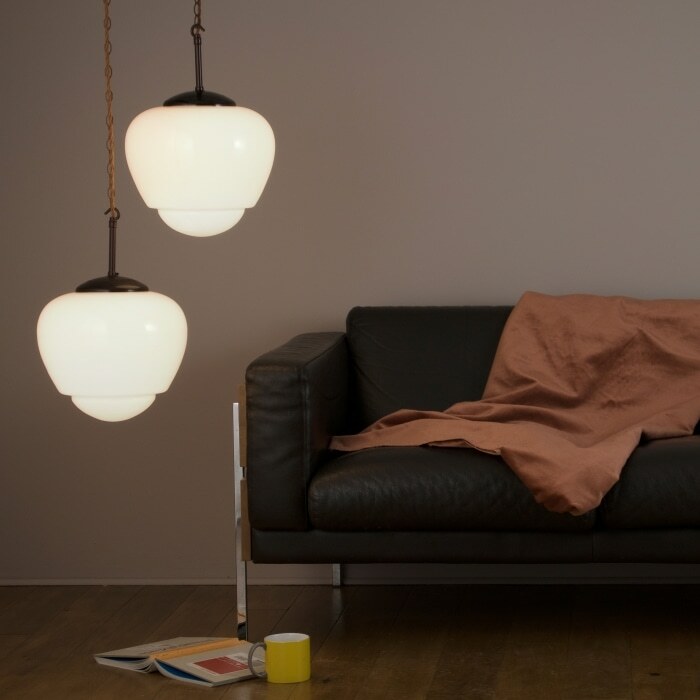 These lights would have once been installed in tenement buildings throughout Czechoslovakia in varying sizes. Each light is supplied with a new bayonet (B22) lamp holder, 2mtrs of suspension chain, traditional old gold braided cable and ceiling mounting plate. (If you would prefer another colour cable, wire suspension or an E26 lamp holder for use in the USA, please just ask).